my3books: Peter, I sold Unbridled Books to bookstores for a number of years, including your first book, Safe From The Sea. As your rep at the time, I read the ARC and as we say in the book trade, I fell in love. Shortly before Safe From The Sea came out, we met at the GLIBA and MIBA trade shows over the space of a couple of weekends. I recall sharing drinks with you and a crowd of booksellers and authors at both shows. Given our fairly long & amiable history, I'm glad that you are the first author to go under the microscope in the Three Questions series. Let's begin! my3books: What impressed me on first reading Safe From The Sea was your natural ease and handling of Nature and History. You seem to have doubled-down in The Lighthouse Road – there is no contemporary setting at all. This is a book that starts in 1896, in a northern Minnesota logging camp, jumps ahead to 1920, jumps further back to 1893, and then to a fourth time, 1910. Meanwhile, in the Nature column, you're writing about logging camps, a particularly frozen winter, starving wolves, the logistics of smuggling liquor by boat on Lake Superior, and boat building. Can you talk about how you came to use your books' settings in time and place as such rich backdrops for your writing? Peter: There’s a long and complicated answer to this question, which I’m often asked in one form or another. I’ll start at the beginning. When I decided to write a novel, I knew only one thing: that I wanted to set the book on the North Shore. There are, I suppose, many reasons for this. One, it’s a place I’ve always gone to—in my mind and in reality—when I’m looking for peace. It’s a place that overwhelms me with emotion and memories. It’s a place that begs, with its natural beauty and mystery, to be written about. And, frankly, I thought it was a place underrepresented in fiction. I thought I could stake my claim to it, if I was willing to take a chance that my rendering of it might yield some interest. So, I began writing Safe from the Sea. As I said, all I knew was that I wanted to book to be set on the North Shore. In a way, the whole narrative design and all the characters were secondary to the setting. At least everything was secondary at the outset. That may seem like a strange way to start a book, but for those of us who are lucky enough to be familiar with this part of the world, it’s not so strange at all. One of the feelings I’m always trying to put into words is how the landscape along the shore, and the lake itself, can make you feel pretty insubstantial. Pretty diminished. Because the landscape and lake are so dominant in real life, I guess it kind of makes sense that they’d be capable of dominating a story, too. What I’ve learned writing two books about the place is that the more I think about it, the more I puzzle over its grandeur and immensity, the more uncanny and unknowable it becomes. Thank God for this, as to start making sense of it would surely diminish its allure. The Lighthouse Road was born from a photograph of a woman at a logging camp circa 1870-something. She’s standing there, in a world I know to be bitter and unforgiving in winter, surrounded by men, many of them pretty rough customers, no doubt, and I thought: What would it be like to be her? Can you even imagine? Well, I started doing exactly that. Imagining what her life might be like. 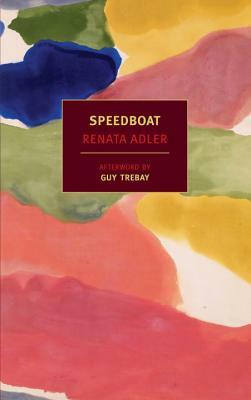 What I discovered was that the same scenery that in Safe from the Sea was doing its job of diminishing two strong men in the late twentieth century was even more potent and dangerous to a young immigrant woman—one without family, without the ability to speak the language, without any discernible skills—in the late 1890s. The canvas (that is, the North Shore in winter) became even more dazzling to me. It became even more of an inspiration. More of a muse. In this respect, it was even easier to incorporate the natural world in the second book. What’s also true, though, is that that historical distance is like a blank check. Going back to a time when the North Shore was truly a frontier, when the only way to get there was by dog sled or boat, when the only people who lived there were essentially castaways, well, it honestly felt like cheating sometimes, the ease with which I could conjure up the world I was creating. None of this is to say that I haven’t tried to be true to the historical record. 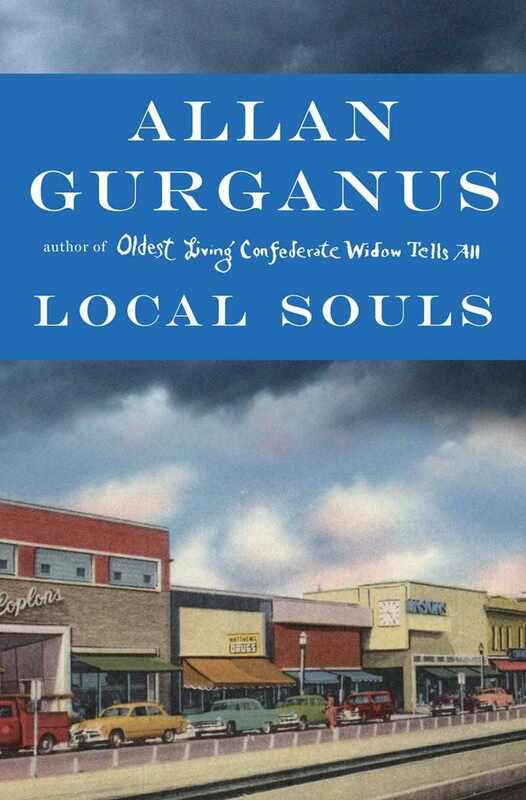 Though everything about the book is fictional—every town, every road, every lumber camp, every character—any part of it is possible. This required some research, and of course that research yielded even more fodder for broadening the role of the natural world. It was like finding money buried under the tree. What I’ve discovered since finishing The Lighthouse Road is that, at least for now, I require the North Shore to function as a storyteller. That is, if I don’t allow myself that canvas, then I suffer mightily from a lack of imaginative powers. I suppose this will change someday (certainly, I hope it does), but for now, my storytelling only works with that natural world as the backdrop. And until that part of the world stops mystifying me, I’ll keep writing about it. my3books: One more question about the detail work – the fine craftsmanship, you could say – in The Lighthouse Road. There are a number of passages that focus incredibly closely on Odd and his boatwork. When we first meet him, he's in a too-small boat, making a dangerous passage to smuggle liquor in defiance of Prohibition. Later in the book, partly as a result of that early journey, he's building his own, larger boat. Later still, there are some scenes in a boatyard. I'm no expert, but it felt quite real to me. And in fact, you made me feel like I now know secrets of the trade. How much of this came from research and how much from your own life? Peter: I’ve never built a boat, unless you count the canoe I whittled for my boys while I was in the boundary waters last summer. But I have always loved working with wood. This goes back to grade school, when once each week we got to go to woodworking class. As hard as that is to believe. And someday I will build a boat, time willing. Boatbuilding seems to me about the most humble and honest of occupations, and so it fit with Odd’s character. (Odd is one of the protagonists of The Lighthouse Road.) Also, there’s a motif running through the book that I only recognized after I finished it and read it a couple of times. It’s this notion of building things: boats, towns, a business, a life. Each of them requires a kind of craftsmanship, to use one of your words. I must have known subconsciously that all these elements were coming together. Of course, because I’m not a boat builder in real life, I had to research. But what a pleasure to learn about something so beautiful. I swear, reading some of those books was like reading ancient poetry. The words are stunning in the boat building business. The names of tools. I find it so much easier to write of a subject when I love the vocabulary. my3books: One eye at my3books is always on the book trade, and in particular indie publishing and indie bookstores. From my own experience selling Safe From The Sea to stores, and then, this summer, watching many of my bookstore friends get excited about the imminent arrival of The Lighthouse Road, it's clear that you are a true son of indie bookstores. You toured extensively for Safe From the Sea and I see that you've got a long tour lined up for the new book. I know this is an easy pitch, but take a swing anyway. What have you learned from your time spent in indie bookstores? Do you have any particular favorites – or if you don't want to play favorites with stores, do you have any favorite moments from time spent in bookstores? Peter: I don’t think it’s possible for me to overstate this: Without independent booksellers, I wouldn’t have a career. Without them, the only people reading my books would be my family and friends. I don’t think it’s possible for me to adequately express my gratitude for this fact alone. But my admiration and thanks is for more than this fact alone. What independent booksellers do for me, they also do for countless other writers whose work I love. I’ve never read a book by John Grisham or Danielle Steele or Tom Clancy, and part of the reason that’s true is because independent booksellers have been helping the careers of lesser known, more literary writers for decades. Having great books to read is literally as important to me as being able to write books. I couldn’t write books if I didn’t have books to read. There’s a third part to this answer that is, without doubt, the most important, and it’s this: on top of all the things independent booksellers have done for my career, on top of all the wonderful books they’ve put in my hands to read, many of them have also become close friends and literary confidants. Folks like Chris Livingston at the Bookshelf in Winona, Minnesota, Stacie Michelle Williams at Boswell Book Co. in Milwaukee, Liberty Hardy out at River Run Books in New Hampshire, Kristen Sandstrom at Apostle Island Booksellers in Bayfield, Wisconsin, Hans Weyandt at Micawber’s here in the Twin Cities, Jennifer Geraedts at Beagle Books up in Park Rapids, Minnesota, and Bess and Jessilyn up at McLean & Eakin Booksellers in Petoskey, Michigan – these are folks I communicate with on a regular basis. We talk about books and our families and baseball. We’re having an ongoing conversation about things that matter to me. And to them. What could be better than that? my3books: And finally, three book picks - three that you're loving right now? Or books that you are most excited about coming out soon? I’ve fallen in love with Amanda Coplins' The Orchardist. I finished the book a couple weeks ago, but I keep picking it up and reading passages. As though I were reading a book of poems on my bedside table. Speaking of poems on my bedside table, I’ve been reading Louis Jenkins’ North of the Cities and Bill Holm’s Playing the Black Piano piecemeal over the last couple months. There’s no denying either of them their wisdom or their way with words. And, like just about everyone else I know, I can’t wait to get my hands on the new Louise Erdrich novel (The Round House). It doesn’t seem fair that she should have so much of the market on beautiful novels cornered.